Do you know how many children’s books were sold in the US during 2014? To quote Strong Bad, that is not a small number. I am not a fan of banning books, but I have to wonder. How many of those 843 million titles encouraged children to seek the true, the good, and the beautiful? Fortunately, there’s a wealth of beautiful, entertaining literature available for Catholic families. 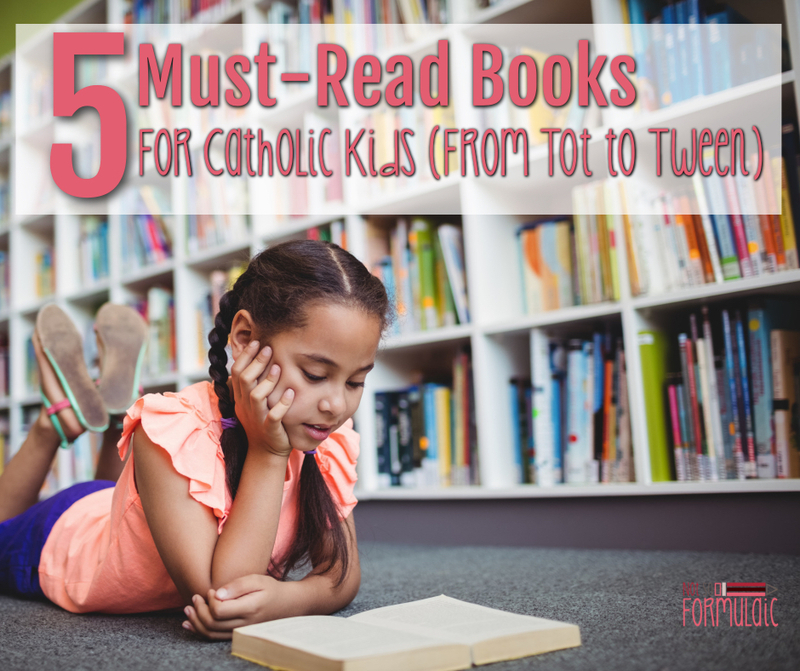 Here are my top five, must-read books for Catholic tots, kids, tweens and teens. What makes us special? Why are we God’s children? These are big questions, but Monica Ashour presents the truth and beauty of Catholic teaching on human sexuality in simple, age-appropriate language. For children ages two to five. Little ones love transportation, but so did the saints! If you want to know how Joan of Arc, St. Kateri, Pope St. John Paul the Great and others got from point A to point B, you can find out in this darling picture book from Chantal Boros. Chantal Boros offers another gem in this board book detailing Marian apparitions around the globe. Travel to Mexico, Portugal, France, and more, learning about Our Lady’s message and the gift of her intercession. As kids get bigger, so do their questions. 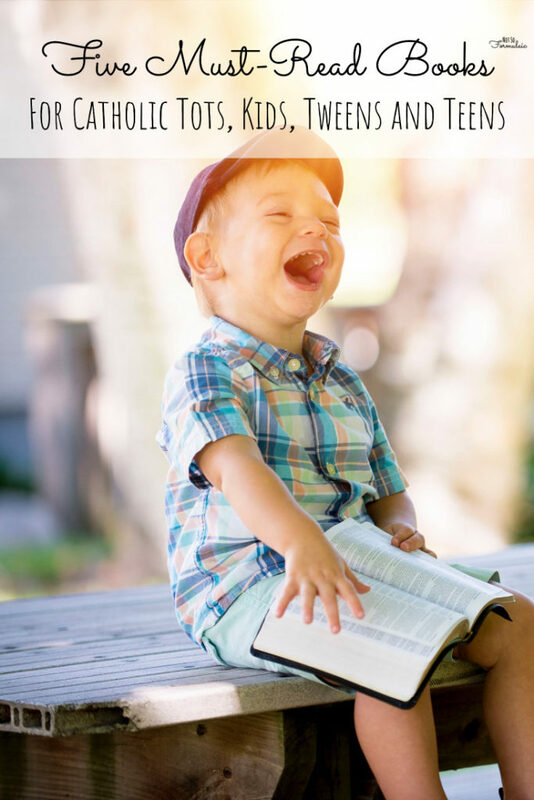 Monica Ashour’s Theology of the Body for Kids expands upon the truth of human sexuality in a developmentally appropriate manner. In return for a scrap of bread from a wealthy baker, a widow promises to participate in the King’s wedding mass as payment. When the baker tries to weigh the value of the mass against her scrap of bread, the baker gets much more than he bargained for. We all know St. George fought the dragon, but do we know how and why? With beautiful illustrations and engaging prose, Margaret Hodges shares the story of Princess Una, her kingdom under siege, and the brave knight, George, who faces certain death in defense of the good and the beautiful. From the author of Make Way for Ducklings, this hilarious, heart-warming tale chronicles the adventures of Homer Price – a donut-making, skunk-owning, giant ball of string-collecting hero and all-around good guy. 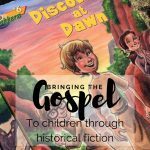 Written by Daughter of St. Paul Sr. Maria Dateno, The Gospel Time Trekkers follows the time-traveling adventures of a group of siblings transported to the time of Jesus. Together, the siblings witness key points in the life of Jesus, learning more about the life and sacrifice of Christ. 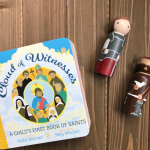 If you’re looking for an engaging way to introduce your child to the lives of the saints, this is it. Jenkins’ comic-inspired work profiles the lives of the saints with an adventurous story-line and bright, inspiring illustrations. Uncle Andrew fancies himself a magician. The truth is, he’s a narcissistic fool playing with forces he doesn’t understand. But when his nephew, Diggory, and Diggory’s friend, Polly, find themselves enmeshed in one of Andrew’s schemes, they set out on a quest not only to save Diggory’s mother from illness but also the streets of London from the evil Queen Jadis. This beautiful narrative takes its readers to the very beginning of Narnia, and the depths of the battle between goodness and pride. Legend has it this was one of Tolkien’s childhood favorites, and I can understand why. It’s MacDonald’s allegorical view of the world, where light, goodness, and the power of prayer conquer the weight of darkness. 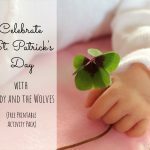 Follow Princess Irene and her good friend, Curdie, as they navigate a series of adventures destined to challenge and sanctify them both. When the Walker siblings find a trim little sailboat (The Swallow) on the shore of their vacation property, their mother gives them permission to sail to the island at the middle of the lake. Believing it to be uninhabited, the children set up camp and settle down for a few days away from home. Before too long, however, the siblings find themselves toe to toe with the Amazons, and a summer of adventure begins. In this Newberry award-winning novel by the prolific Eleanor Estes, a group of girls learns what it means to speak for those who have no voice when their bullying drives an immigrant girl from school. A beautifully written, encouraging tale, The 100 Dresses teaches girls and boys alike the value of human life and the importance of defending it. (Currently, these books are out of print. They are available on Amazon for a ridiculous amount of money, but if you can get your hands on a copy, please do.) Written by Daniel McInerny, the Patria Series is rollicking good fun in the tradition of the Chronicles of Narnia. When Oliver Stoop and his family relocate to Indiana, he discovers a hidden kingdom whose ammunition of choice is a collection of stale biscuits, propelled through the air by a pneumatic whizzing biscuit blaster. Oliver’s foray into the kingdom brings friendship, adventure, and a lesson in truth and loyalty. The truth of human sexuality and virtue exists within the pages of Pope St. John Paul the Great’s Theology of the Body. In this dynamic flip-book, Jason Evert breaks down the teachings of the Catholic Church in a way teens and their parents can understand. A must read for all teens navigating our secular world. There is remarkable strength and courage in the teenage soul, and Colleen Swaim’s profile of eight modern-day teen saints proves it. From the incredible heart of Maria Goretti to the unbending fidelity of Saint Kizito (a newly-minted Christian marched to his death for standing firm), Swaim presents each of these young women and men as accessible, inspirational role models for teens in every stage of their faith journey. Wormwood is a demon, sent to seek the ruin of souls under the tutelage of his dear Uncle Screwtape. Written as a series of letters to his darling nephew, The Screwtape Letters frames the depths of our spiritual battle in an entertaining format while painting the enemy with a devilishly appropriate brush. Dickens chronicles the lives of four individuals thrown into the merciless path of the French Revolution in this classic tale of redemption and sacrifice. The struggle and triumphs of Sydney Carton, Charles Darnay, Lucie Manette and Doctor Manette reveal the capacity for goodness in every human being, regardless of situation or circumstance. 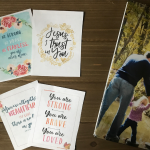 As founder of Emotional Virtue Ministries, Sarah Swafford guides teens in their efforts to form true, good and beautiful friendships that radiate the light of Christ. Swafford offers startling insight with characteristic wit and charm, offering practical, actionable advice that never feels preachy or condescending. 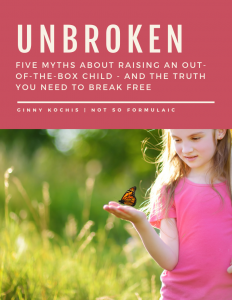 If your older teen is wading into the murky waters of dating, this book is a great one to read and share together. 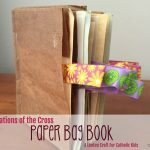 What books are on your list of must-read titles for Catholic kids? Let me know in the comments! 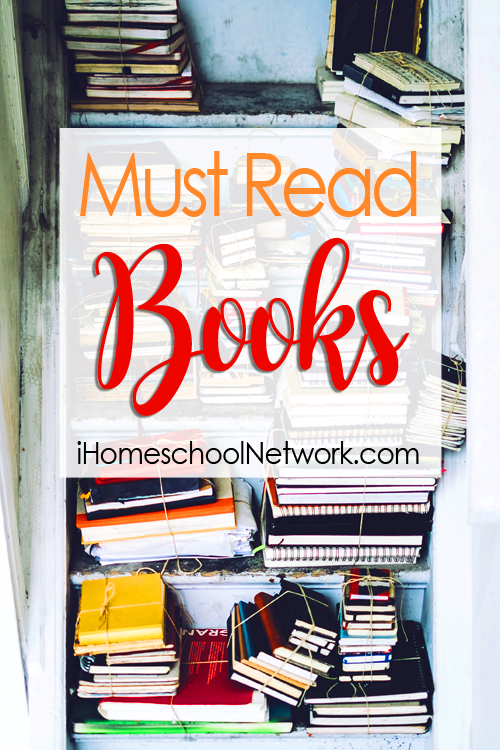 This post is part of the iHomeschool Network’s Link Up: Must Read Books. Be sure to check out my colleagues’ suggestions. This was a delicious collection of new-to-me titles (thanks for the recommendations!) and old favorites. An Orange for Frankie is the first picture book that springs to mind. And Boxes for Katje is inspirational without being preachy. For readers who have graduated to beginning chapter books, the 26 Fairmount Avenue series by Tomie DePaola is hilarious. I appreciate the way that Catholicism is woven naturally into the story. We just listened to the series as an audiobook read by Tomie himself, and it was a hoot and a half. Thank you so much for doing this footwork and sharing this list! 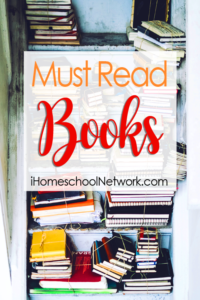 I was happy to see some of the small kid books on our shelves, but after the first few recommendations, I began to get ideas for more books on our bookshelves – and, I fondly remember the St. George’s Dragon book from my childhood! You are so correct – I had never thought about the material children these days are reading. Never thought about whether or not the books we use build them up or not, instill love into them or not, and just help them view the world in a better frame of light! Thank you for this list, many times over! I love this list so much! I’m going to Pin it and am very excited to read some to our son! Okay, onto what your post was really about… I LOVE this list you put together. All the heart eyes! Have you read Nicholas Gilroy Our Lady and the Guardian? 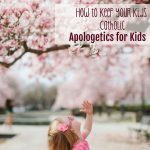 Great Catholic book that celebrates our faith with joy for youth, Nicholas is a homeschooled child! Hope you can read and share! God Bless You! I have not – thank you for the recommendation, Father! I have an adult friend who is in RCIA and fulfilling her dream of being Catholic this year at the Easter Vigil. She lives in the US and speaks English well, but has difficulty with reading English (Portuguese is her first and fluent language for reading the writing). She took a big chance and asked me for some easier books to help her understand her faith. (in my career I worked with International families). Can anyone help me with possible leads/titles? I have tried several resources and attempted a Google search, but need easy readability for an adult. Thanks. Hi Mindy. I would recommend Scott Hahn, actually. He’s very accessible. I’ll also ask around and see what other people might recommend.